If you're considering a budgie as a pet for your child, don't think he's a low-maintenance pet because he lives in a cage. Budgies are active birds that love to socialize with their humans, and they generally live for 5 to 7 years -- but can live up to 15. Adopting a budgie is a serious commitment. Children have to respect the needs of the bird, and the only way they'll learn is for you to teach them. That means it's a serious commitment for both of you. Explain to your child that birds are not the same kinds of pets as dogs and cats. A new budgie needs a little time to warm up to his new family, and if your child comes on too strong or greets the bird with too much gusto -- as many children are wont to do -- the bird can become frightened. Owning a budgie is a lesson in patience even for adults, so make sure your child understands what constitutes proper behavior in the bird's company. Show your child how to properly change the budgie's food, water and cage lining every day. If your child can't do it on any given day, it's your responsibility. Provide your budgie toys so he can entertain himself in the cage. You may make this a teachable moment by explaining to your child that budgies have active minds and need stimulation to avoid boredom, just like people. Hand-train your budgie with your child present. 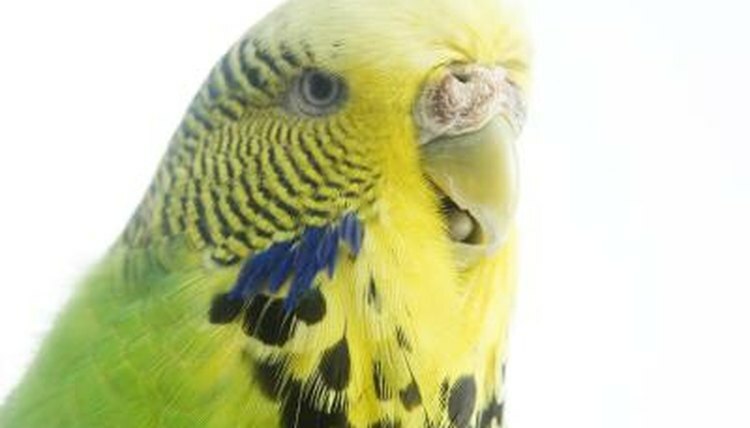 Because budgies can sometimes nip and behave unpredictably during hand-training, you should hand-train the bird first. After you've had him for a while and he's comfortable with handling and socialization, you may teach your child how to hold him, always with supervision. Make sure your child takes the budgie out of his cage for socialization every day. Until the bird is comfortable with handling, this will be a joint project between you and your child and a wonderful opportunity to teach your child about proper human/budgie interaction. Budgies can be skittish and nervous in high-energy environments, particularly when young humans are involved, so making playtime a parent-child activity allows you to supervise and teach proper interaction. After the budgie is hand-trained enough to play with the child, you don't have to be as hands-on, but you should still supervise just in case of emergency.